Check out http://www.motorcyclehouse.com/Motor...ccessories.htm . I think they have some similar accessories and products to what you're showing. 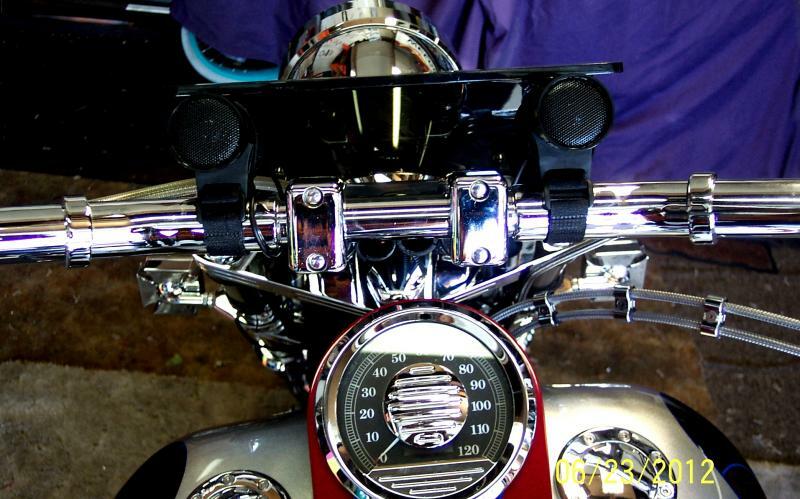 I am using this Firehouse Technology iTube 2.0 sound system on my bike CRB650. It is such a good sound system which used with on or off my bike. iTube is fully contained weather resistance sound system with high quality mp3 player, FM radio, and full range speaker mounted inside. It is very stylish and blend with my bike's looks. iTube is come with free 4GB memory to fill around 400 song in this to enjoy riding. It has battery life for 4-6 Hours after recharge it. Bikes with windshields preform much better with this system. Last edited by Anant; 12-30-2013 at 03:03 AM. As a Harley rider, item as described and works great aside from mounting and riding down the road over 55 miles an hour, even all the way up its worthless at that point. Easy to use and operate once you get the hang of it. The Look vs. The Sound?